KARTELL - Italian made laboratory ware. 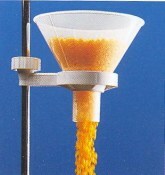 Funnel suited to wet and some dry materials. HDPE - see table below for suitable uses. Empty bottle with hinged resealable witches hat screw cap. 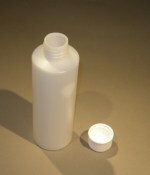 Suited to water soluble products. 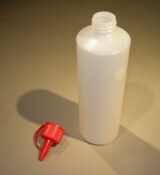 Empty bottle with resealable screw cap. 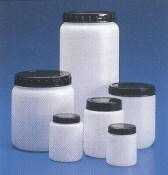 Suited to water soluble products. 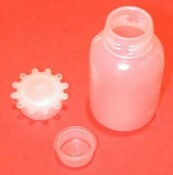 Empty screw top plastic container with numerous dry or paste goods uses. 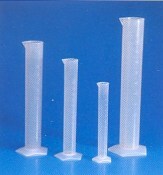 KARTELL - Italian made laboratory ware. 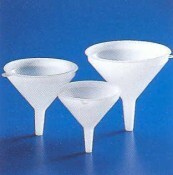 Funnel suited to wet and dry materials. Ribbed inside & out to prevent pressure lock. PP - see table below for suitable uses. KARTELL - Italian made laboratory ware. Screw caps with inner security seal. 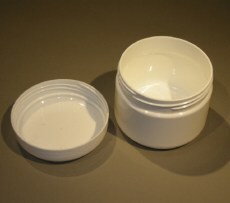 Wide mouth body which is suited to powders. 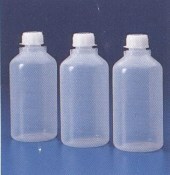 Notes can be inserted under lid and above seal. - HDPE - see table below for suitable uses.